The low rate you need for the need you want. We will match you with a loan program that meets your financial needs. In short-term liquidity, by striving to make funds available within 24 hours of application. Asteria Lending offers the cheapest Online Lending rates in the Philippines. Asteria Lending makes Online Lending so easy. First we need to know a little about you and your needs for the loan. After your online loan is approved, we will work out the details. We send the money within hours of being approved. Loved by 1,000+ people in the Philippines! You won’t be the only one who will love Asteria Lending. “5 Star! World class customer service. Well mannered with professional courtesy to potential clients. Especially Yael. I may have forgotten her full name but never her beautiful voice over the phone! more power! Here at Asteria, we offer a wide range of bespoke, tailor-made online financing and online lending – both personal and business loans to fulfill your financial requirements. Based in the City of Makati, and catering to the Philippines, our company’s main priority is to provide an easy, hassle-free, customizable loan service, where the customer’s needs are put first. Not a fan of owing money? Not a problem – With flexible loan plans you have the option to pay us back within just ten days, however, it is also possible to opt for a longer payment plan, scaling up to six months. We are well aware that many customers looking to borrow money have unique and individual requirements that we would love to meet, and we are here to do exactly that. Asteria is about delivering excellent, optimal customer service. We are an online lending service here to meet every individual’s needs. If you were looking for a fast, easy, efficient and competitively priced online loan, look no further. We are fully licensed and in compliance with the SEC. Whether you simply need some quick cash or are looking to take out a loan for your business or corporation, Asteria will have you covered. Forget the days of queueing in banks and mountains of paperwork just to be faced with ridiculous interest rates. Long gone are the days of commuting to the local high street only to be in a room full of people who don’t want to be there. With just a few simple clicks you can apply for an efficient, easy loan with Asteria and receive the money straight to your bank account without it feeling like a job in itself. The technological era is upon us. More and more services are going online, from shopping to banking, vacations to employment, there is no reason that loans shouldn’t take just a few simple clicks of your mouse or taps of your tablet too. 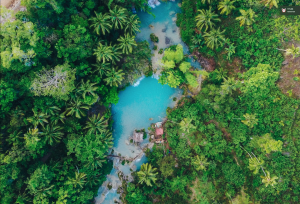 From Manila to Quezon, anyone in the Philippines can apply for one of our loans while also choosing payment options to suit everyone’s individual needs. Still not convinced? Feel free to find us on Facebook and browse some of our many several hundred reviews, or contact us to discuss our online loan plans. Everything is done online and digitally, without you having to leave the comfort of your own home, you can even apply for an Asteria loan via smartphone. Simply apply for a loan by creating an account on our website, or contact us to find out more. Please note you must meet the requirements which can be found by navigating to the ‘how it works’ section of our website. Online loans are significantly easier to keep track of than loans from your local bank, as you can check your installments and balance at the click of a button, instead of having to commute down to your local town or high street just to stand in a queue at a bank. Privacy is another factor as to why online lending is superior. You won’t have to discuss your options surrounded by other customers and bankers in a crowded room, you can relax at home whilst sorting payments out. These are just a couple of many reasons why online loans are superior. Many more online lending branches are popping up across the world, which in turn forces vendors like us to price our loans at affordable and competitive rates. Borrowers are advised to steer clear of the usual ‘payday’ loan offers. 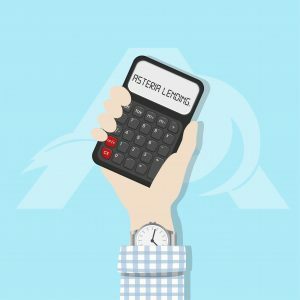 While they mean seem fast and appealing, Asteria Lending can offer a wide range of tailor-made personal loans with competitive interest rates at far better deals than any Pay Day can offer. Higher interest loans have been shown to keep people trapped in a cycle of debt which can be difficult to get out of. According to a study by the CFPB (Customer Financial Protection Bureau), Pay Day loan customers can often end up paying interest in excess of their original loan amount. Don’t fall into this trap! A vast amount of these smaller loans can often escalate into a much bigger problem. Many people are stuck in a situation with multiple credit card loans and a payday loan. This is a bad idea for two reasons. Firstly, you may find it difficult to keep track of multiple payments – causing you to miss a payment date and take on the dreaded late fees which are nothing short of extortionate with a lot of lenders. Secondly, you will no doubt be paying a higher than necessary interest rate on these types of loans. By taking out a personal loan with Asteria Lending and using this loan to consolidate any existing loans not only will you be saving money each month with more appealing interest rates – but this will also do the job of keeping your finances in a cleaner, more efficient system where you are focusing on making the single payment each month as opposed to multiple, all from the comfort of your own home. Here at Asteria lending, we value all customers equally. New or not, we hope to meet your individual needs with optimal services and get the job that you need doing done, quickly, easily, safely and privately. Thank you for choosing Asteria, we will hope to see you using our online lending services in the future and look forward to providing you with excellent and satisfactory service soon.